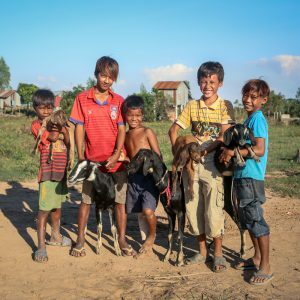 Many of the village families we partner with struggle to earn $2 in a day. A single mum we spoke to recently wakes up at 3am, walks 5km and collects worms. The day we visited she hadn’t found any. Most people have seasonal work with no consistent income. 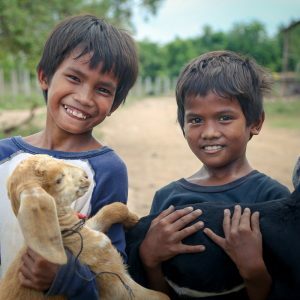 This impacts greatly on their ability to feed and educate their kids and just survive. After trialing various animal initiatives on Gunty’s Island, we’ve finally found something that works – and rarely dies of disease, costs little-to-nothing to feed (and eats anything! 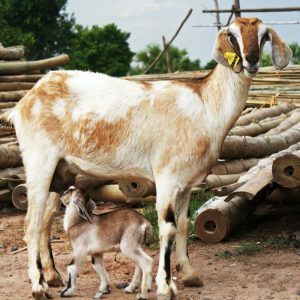 ), is easy to breed and always has twins — Goats! 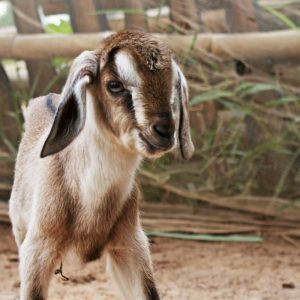 Goats are relatively expensive in Cambodia and selling markets are strong which is great for income generation. 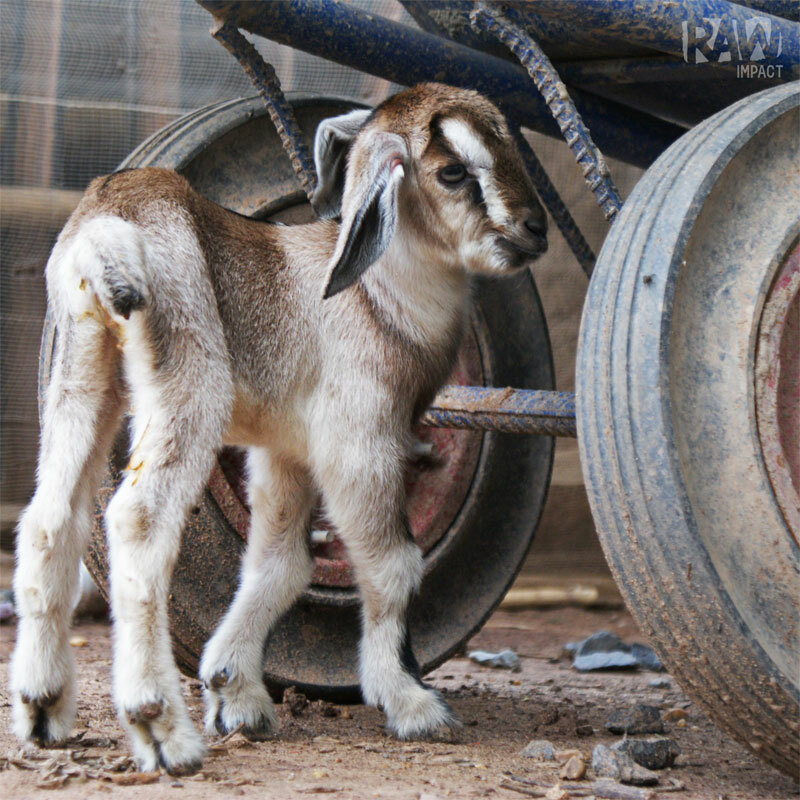 We are in the early stages of setting up a dairy farm to produce goat products such as goat’s milk, cheese and yoghurt. These can be used to increase the health of children in the village as well as sold to the expat market in Phnom Penh. 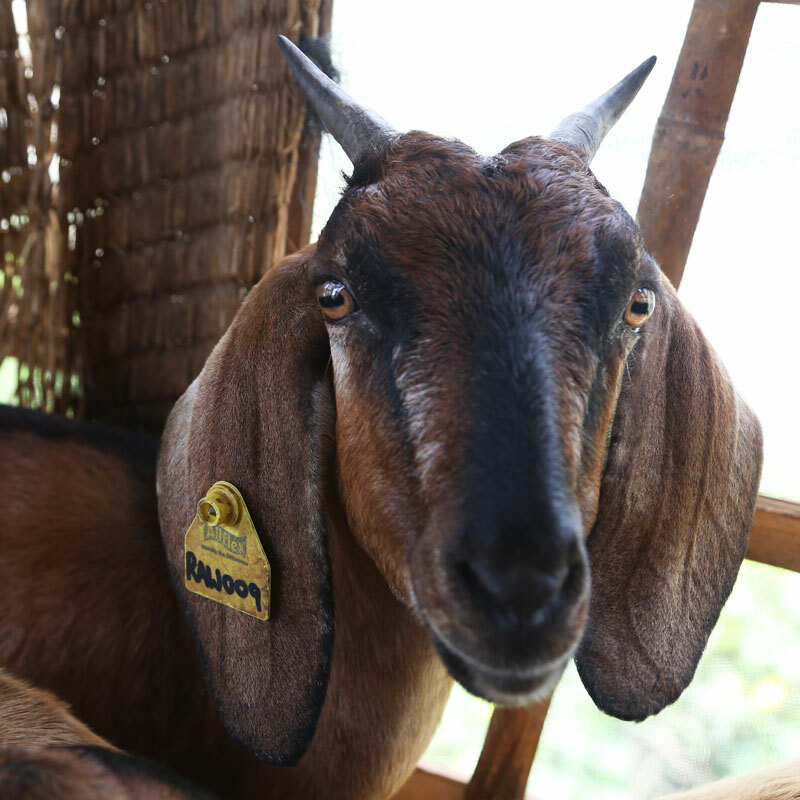 A monthly donation to our Dairy Goats project will help keep the project running smoothly. This will provide us with funding to employ one person and set them up with a steady livelihood as well as inspire others in their village to learn a new skill and earn a solid income.